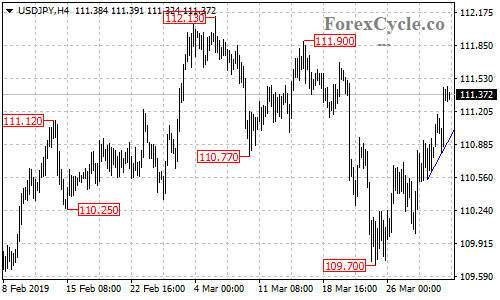 USDJPY extended its upside movement from 109.70 to as high as 111.45. Further rise towards 112.00 is still possible in the coming days. Support is located at the rising trend line on the 4-hour chart, only a breakdown below the trend line support could signal completion of the uptrend.